"Cities in Illinois" redirects here. For unincorporated communities, see List of unincorporated communities in Illinois. For CDPs, see List of census-designated places in Illinois. ^ "GCT-PH1 – Population, Housing Units, Area, and Density: 2010 – State — Place and (in selected states) County Subdivision". 2010 United States Census. United States Census Bureau. Retrieved June 17, 2016. 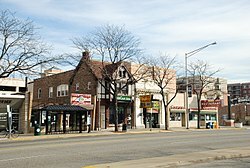 ^ "Illinois: 2010 Population and Housing Unit Counts 2010 Census of Population and Housing" (PDF). 2010 United States Census. United States Census Bureau. September 2012. p. 18. Retrieved June 17, 2016. 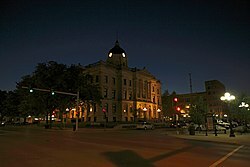 Wikimedia Commons has media related to Cities in Illinois. Illinois Regional Archives Depository System. "Name Index to Illinois Local Governments". Illinois State Archives. Illinois Secretary of State. "Communities". 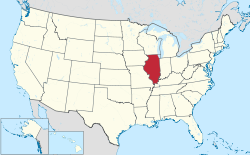 About Illinois. State of Illinois.